They are eleven people living in a one-bedroom apartment in New York City. Childhood friends—kindred dreamers—refugees of a civil war. At night they sleep head-to-toe on the bed, couch, or floor. In the morning they joke as if they didn’t hear one another scream. The girl would make mixtapes, listening to them repeatedly; songs would start with long pauses or cut before the end. Or her mother would knock on the door saying hello mid-recording. When she’d hear the same music elsewhere, whole and perfect, she’d miss her the most. After killing everyone on the list—some brutally—the assassin realizes he mixed up his envelope with his wife’s birthday party guest list. The thought no one will come to her party breaks his heart. He calls all his targets and makes a deal. The baggage handler works night shifts. It’s quiet, and she has no family waiting. She reads every tag; where passengers are from, where they’re going. What kind of suitcase they have, what color. Then she leaves them minor suggestions—notes that will solve all their problems. He has his own emotional support tortoise business; sends his little domes of hope to people in need. He releases the tortoises in the garden so they’ll get as much daylight as possible. He gives them kale, tends to the roses in his son’s army boots. Two women sit at a coffee shop. They speak in sign language. One says: I can’t do it anymore. The other replies: then tell him now, there’s no time like the present. Their hands talk, their legs touch under the table. He wakes me up to watch the super blue blood moon. We stand outside looking up. It’s a bit hazy, but I can see the moon is super and blue and bloody. Just like they said it would. He takes my hand, and I think: who are you and why do I love you so much. It’s morning, and the poet is in someone’s bed. The room is perfumed by sweat and regret, a massive arm around her. A bunny curls up in a cage beside her. On his side: an eight-foot python awake in a tank. Staring. She runs outside with a sleepy rabbit under her dress. 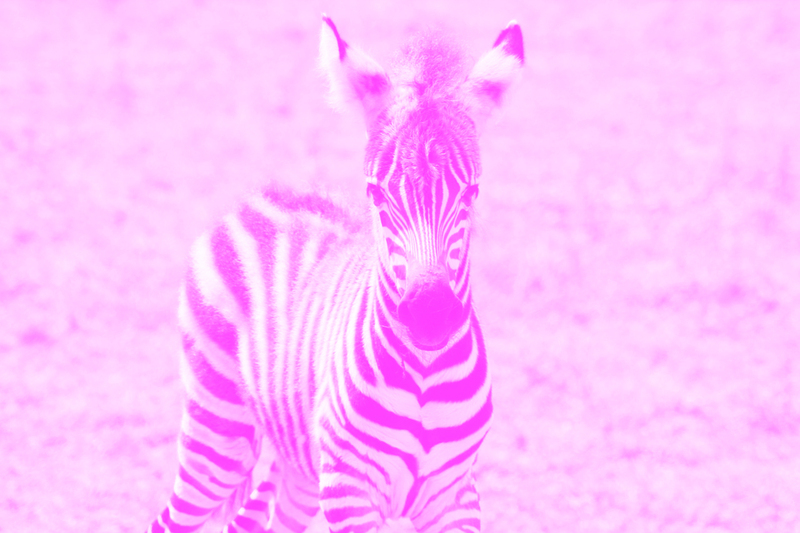 When a pink zebra is born at the zoo, nobody knows what to do. Let’s sell special tickets, says the owner. We need to hide it, says the vet. It’s the Messiah, cries the zoologist. But the more they argue, the more the zebra turns black and white. Noa Sivan was born and raised in Israel and is currently living in Granada, Spain. She likes bonsai stories which make someone’s day a little more enjoyable. Her words have appeared or are forthcoming in Wigleaf, Jellyfish review, Pidgeonholes, and more. You can find her online at www.noasivan.com or on Twitter at @migdalorr.